Picking a tank line in World of Tanks can be tricky, so here are the best USA tank lines! In this article, we'll be covering the best USA tank lines in World of Tanks. 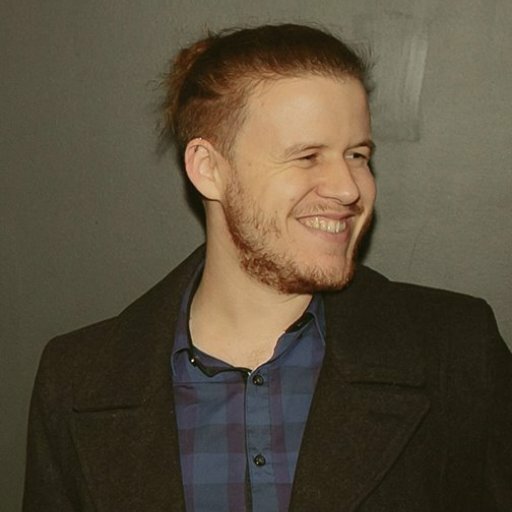 The USA tank lines are some of the most easily accessible tank lines in World of Tanks, and one that new and experienced players will want to explore during their tanking career. Part of the appeal of the USA tank line is the sheer quantity of tanks available for purchase. However, it can be difficult to know what tank to aim for down the line. Let's take a look at some of the best USA tank lines in World of Tanks. The Chaffee is one of the more enjoyable tanks to use in the USA Light tank line, and it leads to the T49, which is one of the best Light tanks available later in the game. As we mentioned in our Light Tank guide, Light tanks are suitable for players who prefer to play World of Tanks along the front lines while traveling fast and helping your teammates through spotting enemy locations. In fact, playing a Light tank and focusing on spotting for SPGs is an excellent way to help improve playing Light tanks. Keep in mind that recent changes to the Matchmaker have left Light tanks in an odd position for spotting. In terms of Light tanks, the T49 is one of the last Light Tanks available down the USA light tank line and an extremely enjoyable vehicle. As with a lot of other USA tanks, it has great gun depression, but the main appeal is its use of non-premium HEAT rounds, an alternative source of damage. The Sheridan is the recently added Tier 10 Light tank that rounds off the USA Light tank line. Before reaching the T49, there are a couple of other tanks worth visiting on the way down the line. 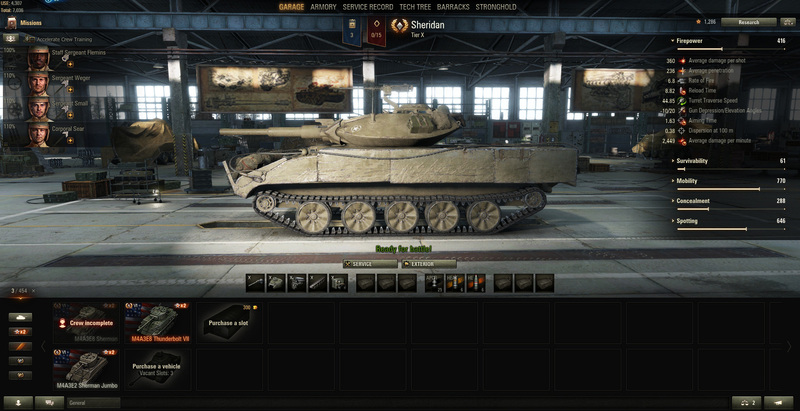 The Chaffee is a prime candidate for players who thoroughly connect with the Light tank variant. It offers fast movement, snappy aim times and tight accuracy. Just be wary of the low penetration of its weapons and account for this by targeting weak points with more gusto. 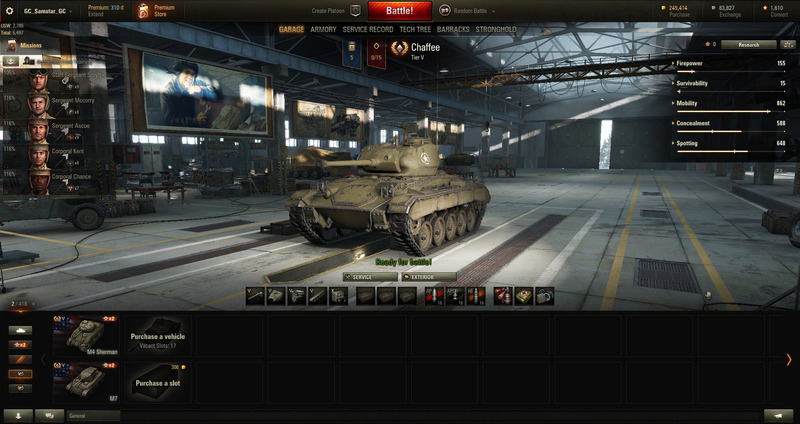 The Chaffee is also one of the best Light tanks for noobs in World of Tanks! Recently, World of Tanks has introduced Tier 10 Light tanks, and the USA Light Tank Line has benefitted greatly from this. Players who have learned how to scout and enjoy the finesse of Light tanks will be rewarded with the Sheridan. Overall, the Light tanks in the USA lines are all high performing vehicles that will make any light tank enthusiast a force to be reckoned with on the battlefield.